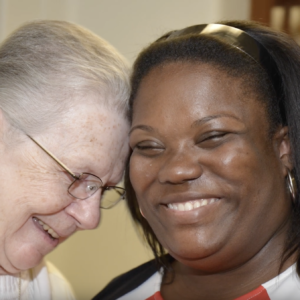 An Associate is a person who shares in the Sisters of Bon Secours’ vision, mission, and spirituality and has bonds with the congregation without being called to vows. Have a question about who can be an Associate, or what you need to apply? There is a formation period to assist an inquirer in learning more about Associate commitment and about the Sisters of Bon Secours: their mission, history and spirituality. Some interested persons are mentored on a one-on-one basis, while others are mentored by the entire community.